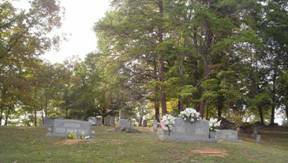 The Steele cemetery is located on Beech Creek Road. 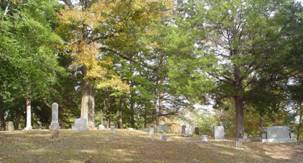 To reach the cemetery, travel highway 128 from Clifton. About .1 mile past the Riverside Methodist Church, turn right onto Beech Creek Rd. & travel one mile. The cemetery is on a hillside to the left of the road. This cemetery is quite old with one birth year being 1810. 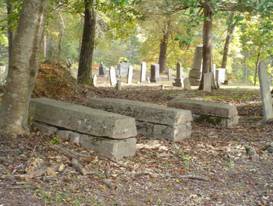 There are several very old graves covered with large stone. Davis, Estalee; b. 15 Dec 1872, d. 19 Aug 1896, daughter of H.E. & H.J. Davis, Wayne; b. 11 Oct 1885, d. 28 Sep 1890, son of H.E. & H.J. Gasner, Dellar Lee; b. 21 Sep 1889, d. 14 Jul 1911, wife of R.L. Lineberry, Tobis; b. 14 Nov 1905, d. 23 May 1909, son of Sam & Mary A.
Owen, Grace T.; b. 12 Dec 1894, d. 18 Aug 1895, daughter of S.W. & T.J.
Smith, D.L. ; b. 01 Jan ??? ?, d. 08 Apr 1889, wife of ? Steele, Curtis, b. 17 Oct 1890, d. 17 Mar 1908, son of Jessie B. & E.F.
Steele, E.F.; b. 21 Dec 1862, d. 14 Jun 1924, 2nd wife of Jessie B.
Steele, Elijah F.; b. 06 Apr 1876, d. 29 Jan 1877, son of Jessie B. & M.E. Steele, Golden Pearl; b. 07 Aug 1904, d. 10 Aug 1917, daughter of Jessie B. & E.F.
Steele, Laura F.; b. 24 Oct 1878, d. 10 Mar 1879, daughter of Jessie B. & M.E. Steele, Lillie Mae; b. 30 Apr 1886, d. 18 Nov 1940, daughter of Jessie B. & E.F.
Steele, M.E; b. 22 Oct 1848, d. 24 Jan 1879, 1st wife of Jessie B.
Steele, Ula May; b. 02 Feb 1891, d. 17 Feb 1891, daughter of J.T. & A.E. Steele, Willie O.; b. 01 Sep 1892, d. 27 Jul 1894, son of J.T. & A.E. Stricklin, Mildred A. (Holt); b. 09 Feb 1905, f. 02 Sep 1942, wife of R.L. Surratt, Laura Lee; b. 11 Feb 1906, d. 26 Mar 1928, wife of J.J.
Ward, M.J.; b. 13 Sep 1856, d. 04 Aug 1900, wife of P.W. Warrington, Thomas E.; b. 12 Oct 1855, d. 26 Nov 1900, husband of Fannie B.
Webster, baby; 02 Aug 1897, son of John L. & Lillie M.